5 Top Small Cap Cryptocurrencies : ZCoin rated Number OnesteemCreated with Sketch. Recently I took the time out to do a thorough mathematical analysis on unknown cryptocurrencies. I am curious to know if there are other coins out there that are outperforming, and I want to take advantage of them. • How is the coin advantageous? • Can I cash the coin in? • Is the coin mineable? Of course, there are other concerns about smaller coins that need to be addressed but the questions above pretty much address most of them. Let’s explain further. For us to deviate down the path of smaller unknown coins we need to know how advantageous the coin is compared to a coin like Bitcoin and Litecoin. Small coins, in general, try to compare themselves to Bitcoin. They want to get your attention in their videos, website, and blogs by putting in front of you the Bitcoin name. Small coins tend to generalize things like, “We are better at concealing our transactions, unlike Bitcoin.” These claims need to be taken with a grain of salt because, unless we are a programmer, we do not truly know whether this claim is true. Let’s put it this way. If the coin is truly advantageous we should see the advantageousness built into the coin price itself. This is the whole premise of this blog post. The coin’s price action should confirm to us that the coin itself is worth investing in. That brings us to our next point. If we invest in the coin, we need some way to trade and cash in our winnings. This aspect is critical. No way to cash in means your money is locked up until the coin can be transferred to something like Bitcoin. We do not want to have the situation where we are invested in the cryptocurrency only to find out that our gains are just a number in a machine somewhere. We want tangible results. We want a way to transfer to and from the coin just to test it. We need a mineable coin. This aspect is necessary for smaller coins. We need a way to invest our time and energy so that we can build our coin assets. We do not want to invest substantial amounts of money. Our goal is to put as much as we can in the coin without putting as much money. The feasibility of mining is necessary. Wow, that is a list of 42 coins. I spent at least three to four hours compiling the necessary data to put forth this analysis. This analysis involved sophisticated data analysis techniques along with a subjective judgement on whether or not individual coins have enough data. The final results include coins with a high rate of return. But included in this analysis was a risk metric that I used in my overall ranking. I wanted the highest return with the lowest possible risk. Here are the best five coins in the 42-coin list. These coins had plenty of data to play with. Again, the coins above were ranked according to their risk metric and their rate of return. A lot of people base their investment decisions on the rate of return, so I put the rate of return ranking next to the coin name. But you should evaluate a potential investment based on rate of return along with risk. Risk is very important because all our risk tolerances are different. Risk tolerance can be guessed just by understanding how close you are to retirement. To prevent wild swings in our portfolio. To have extraordinary gains in an investment. Number two is the most interesting part of diversifying our assets. Number two allows us to invest in exotic things if the investment is not a large percentage of our portfolio. However, this investment, whatever it may be, could turn into a huge percentage of our portfolio. For example, if we invest 1% of our portfolio into ZCoin and ZCoin goes through the roof like Bitcoin we could have a behemoth of a portfolio. We will even call it the ZCoin portfolio because most of the assets will, hypothetically speaking, be in ZCoin. If you are interested in small cap coins you will like to know more about this coin. This coin maybe a big named coin of the future. As established above, we want to know basic things about a coin that will make us more knowledgeable about it. The ZCoin, as their Youtube video states, is a cryptocurrency that puts your transaction privacy at the forefront. ZCoin claims that Bitcoin and other cryptocurrencies out there do not protect your transactions privacy. ZCoin claims that the government can track, trace, and gather information about your Bitcoin transactions. ZCoin states that they eliminated the ability for an outsider to gather information about your purchases. This is what ZCoin believes is their advantage over other coins. Untraceable coins that have no identity. As for cashing in the coin, you can electronically purchase the coin on a top three cryptocurrency exchange called Huobi. However, Huobi is not available in the United States. As of September 1, 2018, ZCoin is still working on a wallet where you can purchase the coin directly. Recently there has been a blog post on ability of receiving the coin on a mobile wallet. This is encouraging. 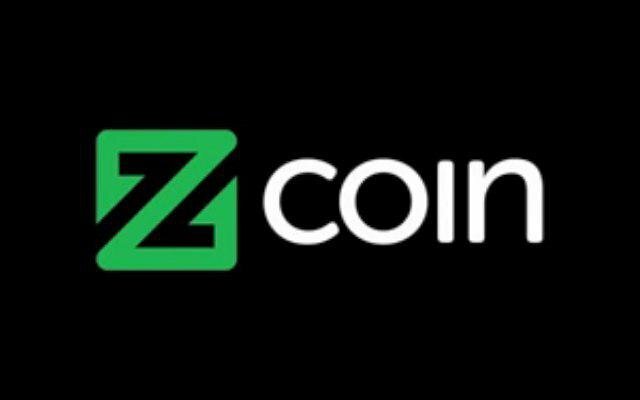 In my opinion, the cashing in on the ZCoin is an issue that needs to be resolved. Now, I am not saying that you can not cash in on the coin. I am saying that when I search for a way to withdraw funds from the coin there are no articles or videos. This is discouraging. When I search for the same thing on Bitcoin I get a bazillion articles. This needs to be improved. To answer the last question, YES! You can mine Zcoin. If you are interested in learning more about mining and Zcoin you can view the video below.